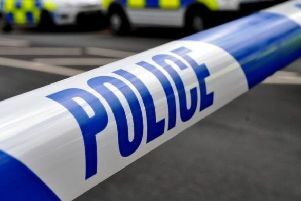 An Eastbourne runner was hurt after narrowly avoiding being hit by a cyclist on the seafront on Sunday. Bernie Bass, 68, of Gardner Close, had the top of his finger scratched off when he fell to the ground to avoid a collision. “I don’t know what would have happened if I hadn’t jumped out of the way,” he said. Bernie was jogging between the Langham Hotel and the pier around 5pm when the prom was busy with walkers. He said he had just jogged around a couple when the cyclist came towards him “out of nowhere,” at a high speed. “I went flying,” Bernie, who is still in shock, said. Though the cyclist did not stop, people came over to check he was alright and a woman walked him home. Now he is calling for cyclists to respect the areas along the prom where cycling is not allowed. Cycling is permitted from Sovereign Gardens to Fisherman’s Green. But Eastbourne Council advises cyclists to go at reduced speeds, give way to those on the prom, and be prepared to dismount and walk with their bikes. An Eastbourne Council spokesperson said, “The council’s Neighbourhood First Team regularly patrols the seafront and do take action to enforce restrictions on the promenade. “The enjoyment of the promenade and beaches is of paramount importance to the council and the team on the seafront regularly review and assess their activities to ensure a safe environment is maintained.